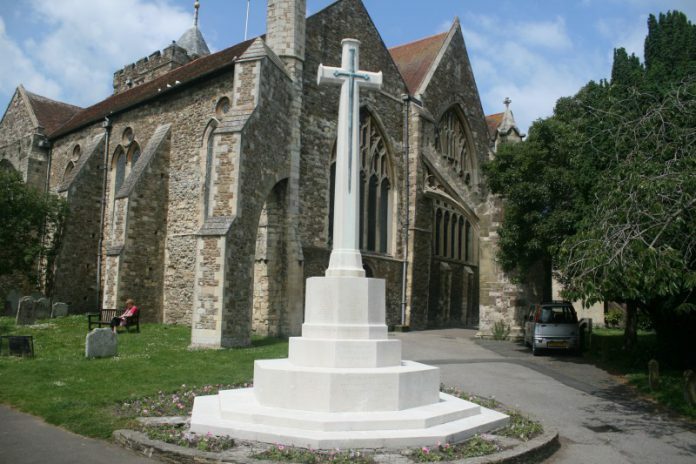 With the news that English Heritage is planning to list up to 500 war memorials a year during the centenary period of the First World War, Rye Conservation Society has been spurred into preparing an application in respect of the memorial in St Mary’s churchyard. The stonework has recently been cleaned on the initiative of Rother District Council and it looks resplendent. Winchelsea’s war memorial was listed grade II in January 2010 and has special statutory protection. 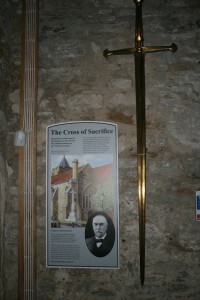 Few people in Rye are aware that the template for memorials right across Britain is to be found in Rye Museum. 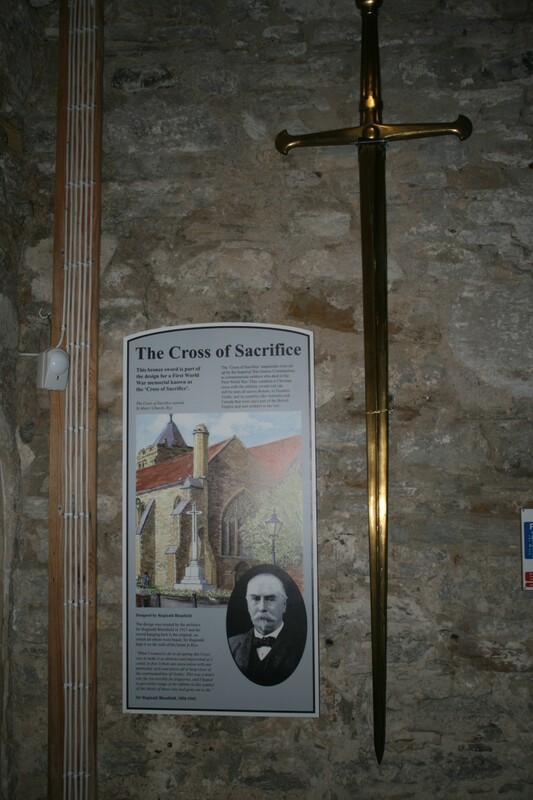 Known as The Cross of Sacrifice, it was designed by Sir Reginald Blomfield, who also designed the Menin Gate Memorial to the Missing at Ypres, which commemorates the more than 50,000 soldiers from the UK and the Commonwealth who lost their lives on the Ypres Salient battlefield before 1917 and who have no known grave.